Our Minors commenced their league campaign against Newtownstewart this afternoon at Clanabogan Park, coming away with a single league point as the game finished a draw. The somewhat depleted Drumragh side found themselves a goal down after two minutes, Newtownstewart having struck to the back of the net following a surging team move. 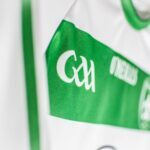 The Sarsfields were given the opportunity to equalise just a minute later when they were awarded a penalty after Ethan O’Neill was dragged down in the area. Malachy McManus stepped up to take the spot kick and struck cooly to beat the keeper and level the game. It was the away team that added the next three scores to once again put themselves ahead on the scoreboard – three long range points from play. Good defensive work from Cormac Norris, Sean Diamond and Patrick Stewart restricted further scoring opportunities for the away team before Dylan Taggart added a point for the Sarsfields. 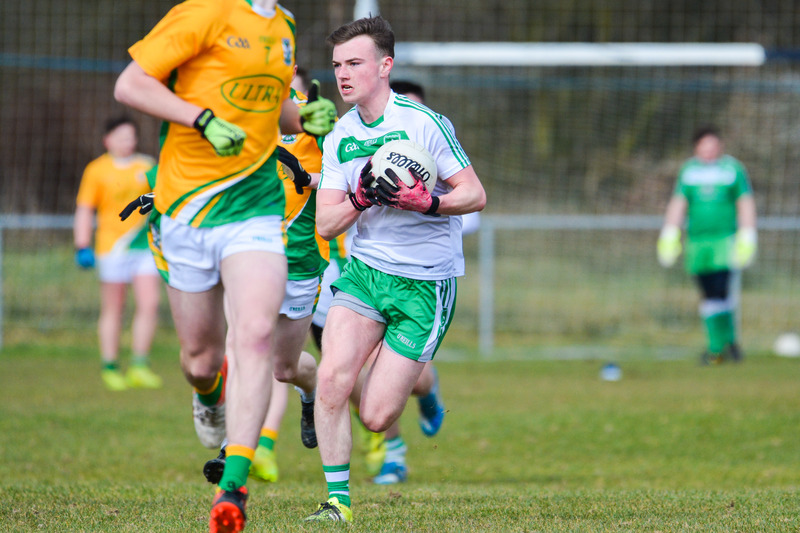 Drumragh were showing great determination at this point and their resolve was rewarded when Ronan Maguire struck the back of the Newtownstewart net twice before the end of the half. The first goal was the result of a great driving run from Maguire while he demonstrated great skill to convert from range for the second. This left the score at half time as Drumragh 3-1, Newtownstewart 1-4. Newtownstewart responded well after the break, testing Drumragh’s defence from the throw in. Goalkeeper Anton McGarrigle made two great saves within the first two minutes to deny the away side a goal and Drumragh responded on the break with points from Eoin Montgomery and Ronan Maguire. Newtown added further points to their tally before they finally hit the back of the Sarsfields net – the result of a quickly taken free kick. 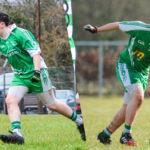 The game was end-to-end when Eoin Montgomery added another two points for Drumragh following great work from Garbhan McKenna, Ryan McGaughey and Andy Colgan. Newtown were pushing forward for scores also and were rewarded with two points from play. Stephen Coyle, Dylan Taggart and Malachy McManus combined to add two great points for the Sarsfields approaching full time which were to be Drumragh’s last scores of the game. Despite a great defensive effort in injury time, Newtownstewart scored two pivotal points to level the game and earn their share of the league points. Full time score – Drumragh 3-7, Newtownstewart 2-10.